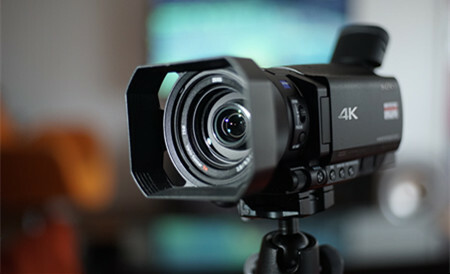 The Sony AX-100 camcorder records 4K and HD movies in XAVC S, a consumer friendly format based on the XAVC codec developed for 4K/HD and professional use, which uses MPEG-4 AVC/H.264 for video compression and linear PCM for audio compression, while saving files in a MP4 wrapper. However, if you want to compress the XAVC S videos from Sony AX-100, it may not as smooth as you think. The best HD Video Converter for Mac software can help you show and tell your family and friends about all your favorite moments, whenever and wherever. 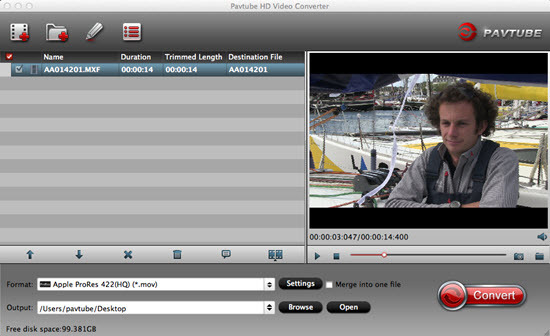 Pavtube HD Video Converter for Mac (review) is a professional video converting tool that can handle almost all video formats on the digital market. It was designed to convert high-definition videos from camcorders, digital video recorders and the like into popular video formats on Mac, including MKV, MP4, VOB, MPG, MOV, TiVo, WMV, 3GP, AVI, DV, TS, FLV, 3GP, 3G2, MP3, FLAC, MKA, OGG, WAV, etc. so that you can enjoy the HD videos on Android Devices, Windows 8 Devices, iPad/iPhone/iPod, Apple TV 3, PS3, Xbox, WD TV player, Video-DVD player, PSP and edit in Final Cut Pro (X), FCE, iMovie, Adobe Premiere, Avid Media Composer, etc. Absolutely, it can compress Sony FDR AX-100 4K XAVC S files very well. Various output video formats that supported for popular editing tools and media players. Powerful editing functions (e.g. trimming, cropping, adding watermarks, add video effect, etc), we also called it “Tiny Editor”. Audio and video sync technology that can handle your original files smoothly. Support encode/decode H.265, XAVC MXF, M3U8. With a 6X conversion speed, you can save a lot of time. Fast conversion speed and high quality preserved. Both SD and HD videos you can handle well. Good settings you can adjust on your own. Perfect customer service you can enjoy all the time. How to compress Sony FDR AX-100 4K XAVC S files? Step 1: Download and have a quick installation. The trial version will have a watermark on your converted files. Except for that, there are no time limitation, no virus, and no unnecessary bundle apps while downloading. After that, click “Add Video” button to load your 4K XAVC S recordings. You can load several files at once thanks to “Add from folder” button. Step 2: Here, you need to choose what you want the output to be. 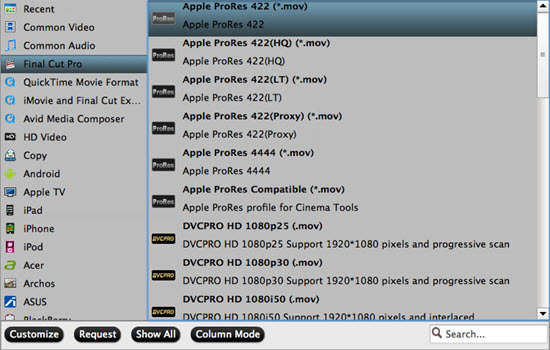 Take editing in FCP X as an example: click “Format” drop-down list, and then select “Final Cut Pro>>Apple ProRes 422 (*.mov)” as the best output format. Step 3: Click the “Settings” button and customize proper video/audio parameters including Video size, bitrate and fame rate and more. Usually 1920*1080 video size and 30fps video frame rate are recommended for FCP editing. Conclusion: When the conversion is done, you can click “Open” to get your generated files. Video and audio synchronization are perfectly guaranteed. This year, let’s get dad something useful- Pavtube Studio offers discount for powerful yet easy-to-use products to make you own home videos. Go ahead and have a try! How to Compress and Convert 1080p to 720p?